It's a miracle the horse let her sit on him. But still, at least one of them's looking at the camera. Unfortunately, having driven 320 miles yesterday, waded through wide-ranging mud in sub-zero temperatures, and cleaned up a lot of vomit, I'm lacking the energy to write a lengthy account of my weekend. 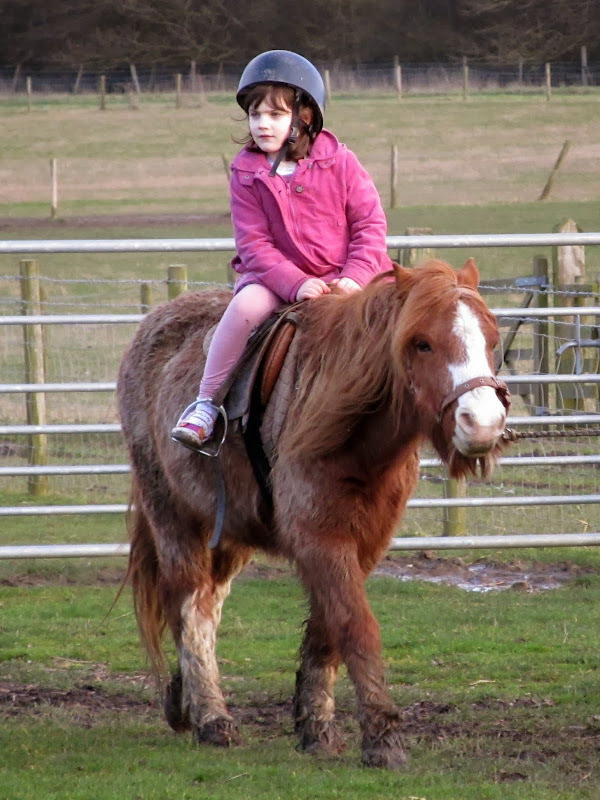 So the story of how Amelie came to spend Sunday horsing around in Leicestershire will have to wait until tomorrow. It's no wonder we saw a lot of vomit. I expect you wished you'd had that tractor this morning, when you were probably all half asleep.